Olufemi (Femi) Vaughan is the Alfred Sargent Lee and Mary Ames Lee Professor of African Studies at Amherst College. He is the author and editor of ten books and over eighty scholarly articles and reviews, including: Religion and the Making of Nigeria (Duke University Press, 2016; 2017 Nigerian Studies Association Book Prize) and Nigerian Chiefs: Traditional Power in Modern Politics, 1890s-1990s (University of Rochester Press, 2000; 2001 Cecil B. Currey Book Prize — Association of Global South Studies). 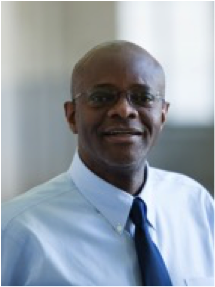 He was professor of Africana Studies and History, and Associate Provost at the State University of New York, Stony Brook, and Geoffrey Canada Professor of Africana Studies and History, and Director of Africana Studies at Bowdoin College. Professor Vaughan is co-editor of the Routledge Handbook on Contemporary Nigeria, senior editor of the Oxford Research Encyclopedia of Methods, Sources, and Historiography in African History, and a member of the advisory council of the Africa Program, Wilson Center. He is the recipient of several professional awards, including a Wilson National Fellowship, Wilson Public Policy fellowships, Ford Foundation fellowships, a Distinguished Scholars Award of the Association of Global South Studies, and a State University of New York Chancellor’s Award for Excellence Teaching.